A man, fearing his own death, looks, one night, for a godfather for his newly born son. He is approached by God, the Devil and Death. The man selects Death over the others, as he believes that Death is the fairest. Fast forward several years, and the new born son, Manny, is now a teenager, mourning the death of his father at the funeral. He meets a smartly dressed individual who encourages him into studying medicine - who, unbeknowst to Manny, is his godfather, Death. Manny becomes a doctor, accompanied by Death, who stands at the foot of a patient's bed and raises his thumb according to whether the patient will live or die. As a result, Manny becomes very successful, and meets a young lady called Grace. They immediately fall in love, but, over time, Grace gets very sick. Death tells Manny that Grace will die - Manny is horrified by this and declares that he would do anything to let her live. Death complies with Manny's wish, and Grace recovers from her illness. However, Manny has to pay the ultimate price in return. We took this production to Canada in May 2012, to perform in the Liverpool International Theatre Festival. We competed with theatre companies from all around the world. Jerry Grummitt won 'Best Supporting Actor' for his portrayal of Godfather Death, and the play itself won the 'Exceptional Lighting and Sound' award. Click here to see the pictures of the production in Canada, and click here to read the blog of our time across the pond. Back in the United Kingdom, we made it through to the Welsh One-Act Festival. However, we were unsuccessful - but we lost out to our second entry, 'Biscuits'. It is 1361 and William, failed builder and Clerk of Works to Henry of Grosmont is in trouble: the building work on the new courthouse is behind schedule and Henry is not happy. 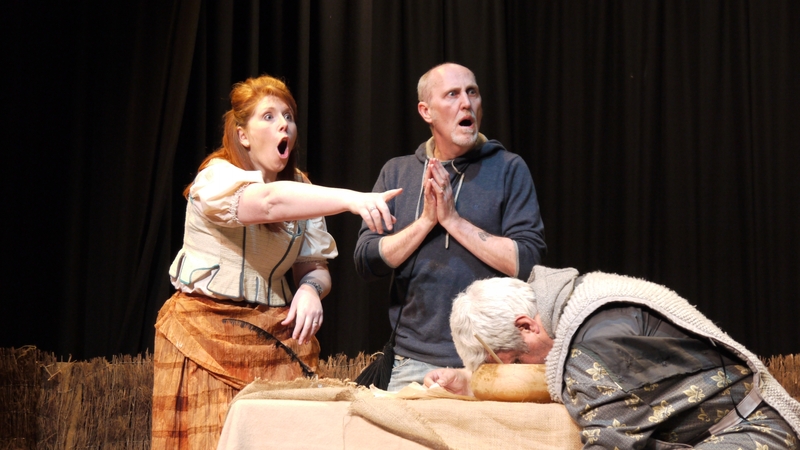 With a frustrated daughter, a rebellious son and a bad tempered witch adding to his problems, the offer of help from Gerald, scribe, legal advisor to Henry of Grosmont and fully paid-up lecherous monk, is accepted with tragic and hilarious results. This play won several awards at the Gwent One-Act Festival. 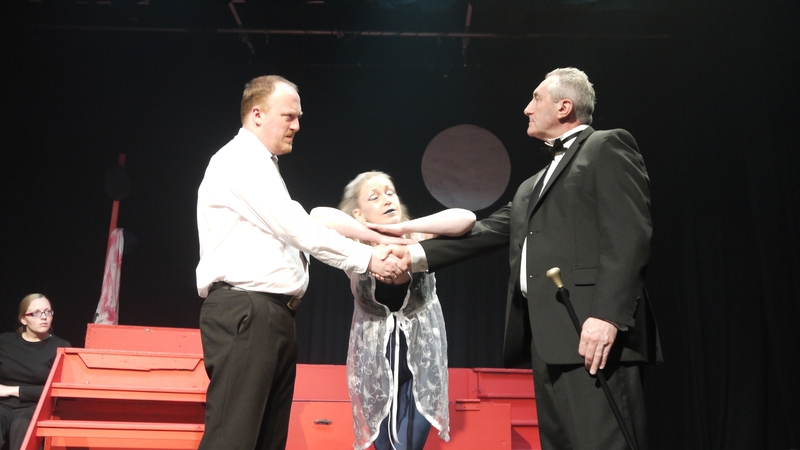 Gwen Livingstone won the Adjudicator's Award for her portrayal of Gwen, Neil Maidman won Best Director, Vic Mills won Best Individual Performance, and the play itself won both Best Adult Production and Best Festival Production. We took 'Biscuits' to the Welsh One-Act Festival, where we competed against ourselves with 'Godfather Death'. The adjudication was delivered and it was announced that 'Biscuits' had won! We went forward to represent Wales in the British Final, but unfortunately, we were unsuccessful.